Caught between the old-world charm and the high-tech era, Hyderabad takes you from the ancient to the modern with relative ease. The city rose to prominence during the British Raj as a multi-cultural trading hub, bridging the northern and southern parts of the country. The Nizams ruled it for over 150 years until 1948, after which the city became a part of the Republic of India. In the 21st century, the city has emerged as a prominent industrial hub in the country. Famous multinational companies like Google and Microsoft have even set up offices in the new part of town. However, Hyderabad has managed to retain its traditions and roots, most of which can still be seen today. You can still find remnants of old Hyderabad in those delicious plates of biryani, the colourful shopping hotspots and the historic monuments. The 'Charminar' city should be on your travel list for 2019, and we have taken the liberty to list down a few things to help you plan that long-overdue trip! So, take out your Non Stop Vacay notebook and start planning! Crossing these things off your list when you visit Hyderabad is an absolute must. These are the sights you must see, things you need to eat or places you need to shop at. Hyderabad would not be Hyderabad if it was not for its dum biryani and the Charminar. Head over to the monument and park yourself in front of one of the many food stalls lining the area. You can soak in the majestic view of the Minar while you devour some delicious Hyderabadi food. Looking for something that will captivate everyone across all age groups? 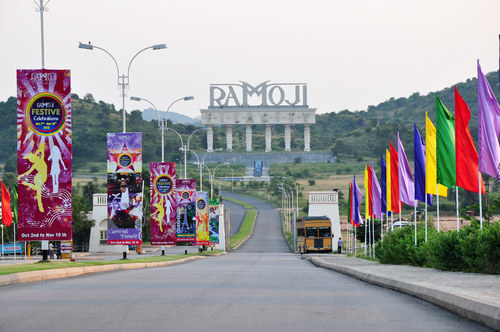 Head to the Ramoji film city, where blockbusters like Bahubali and Dilwale were shot, and visit some of the sets and props from those movies there. 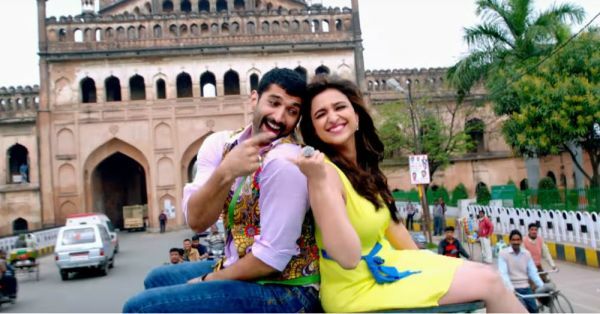 The film city also has a built-in studio, a viewing gallery, an amusement park and a plush hotel. If you are someone who loves a quiet stroll, then nothing will make you happier than a walk around Hussain Sagar Lake. The waterbody was constructed by Hazrat Hussain Shah Wali in the 1500s and once served as the city’s main source of water. At the centre of the lake stands a statue of Gautam Buddha that adds to the lake's beauty. 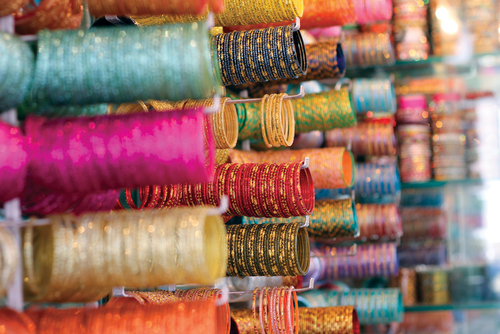 Located near Charminar, this market is also known as Choodi Bazaar due to the popularity of its bangles. The market has been flourishing since the 18th century, and offers great deals at thrifty prices. 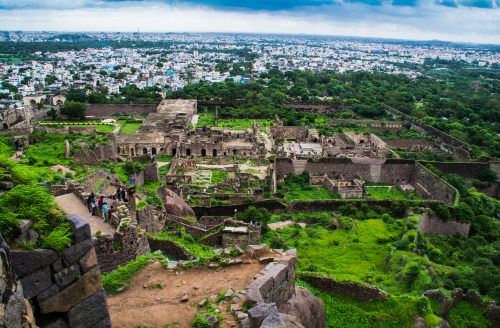 If you crave knowledge and architecture as much as you crave dum biryani, then Golconda Fort is a must-visit. Situated in the western part of Hyderabad, this glorious fortress will take you back to the time when the Nizam ruled the city. 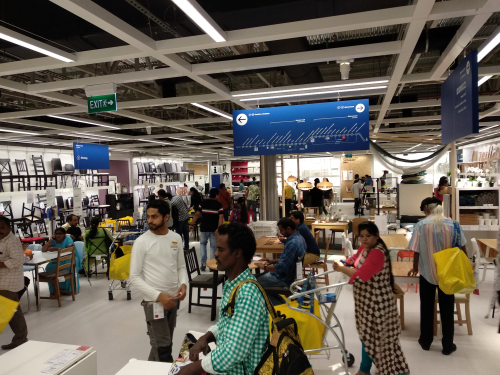 IKEA opened its first store in India in 2018 and the Swedish furniture giant chose Hyderabad as the location. The store is spread over a sprawling 13 acres and also has a world-class in-house restaurant, just in case you want to grab a bite while browsing through the seemingly endless aisles. IKEA offers exclusive discounts and deals at the outlet, making it a definite addition to your Hyderabad bucket-list. Hyderabad has quite a few quirky things that no other city in India can offer. From goofy car museums and large IMAX screens, to a distinct art scene as well as a temple to pray for visas, these are some things you'll find *only* in Hyderabad! What do you get when you combine one man’s passion for cars and his obsession to make vehicles in every conceivable shape? 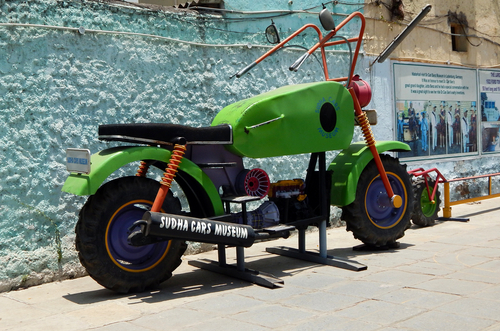 The answer - this quirky Sudha Car Museum. Here, you can find vehicles in the shape of toilets, cricket bats, hamburgers, and gods, just to name a few. If you thought you’ve had the perfect movie experience in your city, you probably haven’t been to Hyderabad. Prasads movie theatre offers the second-largest movie screen in the country with an option for IMAX viewing as well. So, put on your 3D glasses, grab a tub of popcorn and enjoy the latest blockbusters. As Hyderabad expands rapidly from a historical city to a high-tech one, there is perhaps no better place to see this shift than in the neighbourhood of MS Maqtha. 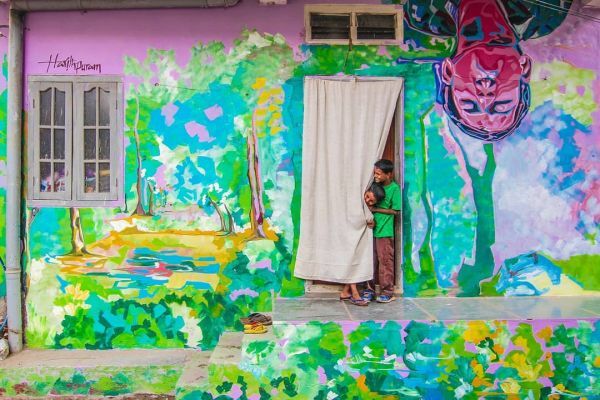 An enchanting array of colourful street murals and artwork lies hidden within the quiet neighbourhood's lanes that will mesmerise you with its unconventional beauty. Just a half hour drive from the centre of the city lies your gateway to adventure at the Narsapur forest. Here you can enjoy the trail through the woods, which takes you through thick canopies and broken tracks that can enthral any thrill-seeker. 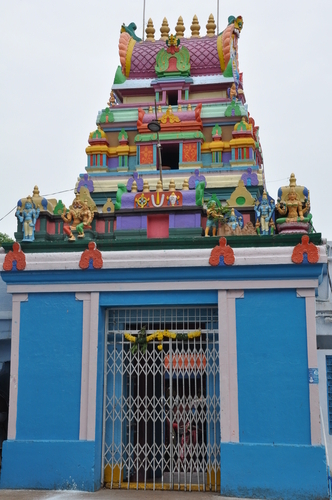 It is said that all technology graduates seeking a visa to the United States must visit the Chilkur Balaji Temple, or Visa Temple, before, during and after the process. Driven by faith and folklore, it is worth a visit to seek blessings as well as see the plethora of job-seekers and students patiently praying for their visas to get cleared. Here’s something that will appeal to the inner artist in you. The Gallery Cafe, situated bang in the middle of Banjara Hills, is a coffee shop adjacent to an art gallery. 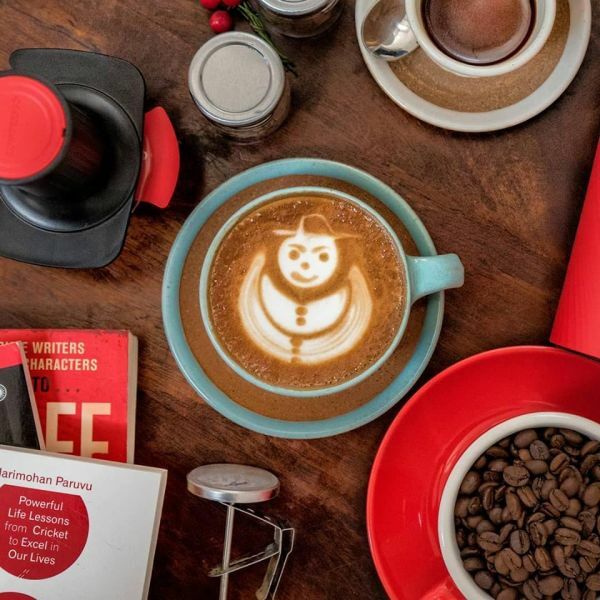 The place offers a spectacular blend of coffee with a sprinkling of art. They also host events and exhibitions related to arts and crafts regularly. Hyderabad has a robust population of young professionals who have a constant need for doing something fun to blow off the steam. There are plenty of restaurants and pubs in the city as well as a good mix of adventure and culture. These are our top ten picks. 10 Downing Street, or 10 D as it is popularly known, is one of Hyderabad’s most famous watering holes. Its colonial-style decor and cushy interiors are sure to transport you back to a bygone era. If you want to catch a live football or cricket match with your buddies, this is the place to do it. On days when there are no games, the karaoke station will do a good job to keep you entertained. What makes this coffeehouse stand out is its location. Situated in an old bungalow, The Roastery Coffee House offers some of the best coffee and breakfast menus in town. It makes for a perfect start to a lazy weekend, as you are treated to some great food and a charming, quiet vibe to catch up with friends. Casual visitors to the fort will probably not be aware of this, but if you are a true Hyderabadi, you would have definitely heard of the music show that happens at Golconda Fort. Spend the evening taking a stroll in the vicinity to be there just on time for the show to begin. 4. Take A Walk In The Park. No, Really! The Mahavir Harina Vanasthali Deer park is among Hyderabad’s best-kept secrets. It is the city’s version of New York’s Central Park. 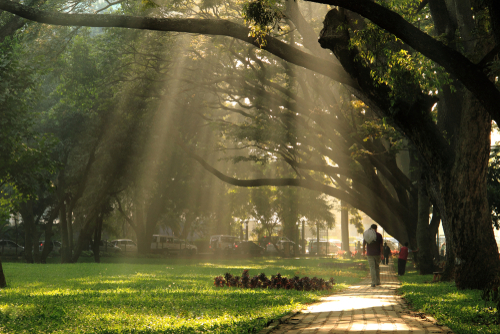 Take a breezy stroll in the city's largest green space, spot some deer and spend some well-deserved time in the company of your friends. 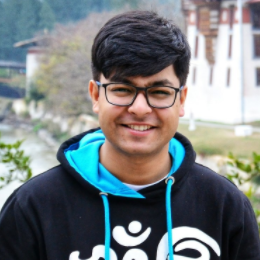 The place is a delight to visit and also makes for a good picnic spot with the family. If you have a large group of friends, how about challenging them to a kayak race right in the middle of the city? The city’s Boats Club organises kayaking tours on demand and provides you with the gear, kayaks and a guide for a limited time as well. 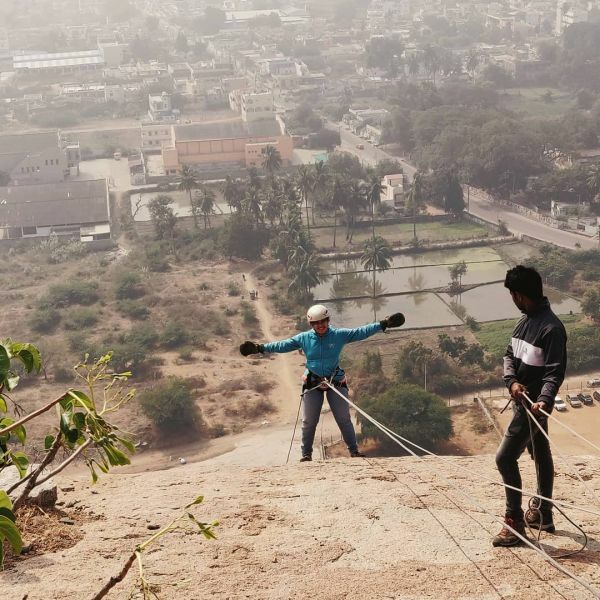 If you are an adventure junkie, then here’s one for the bucket list: the smooth-edged curves of the cliffs at Bhongir provide the perfect conditions for rappelling. Don't stress if this is your first time, because you will be guided by a team of experts who operate the line. There are different lines that you can experience, depending on the difficulty of the descent. Over the years, some of India’s top names in rifle and pistol shooting, like Gagan Narang and Abhinav Bindra, have visited the Rifles Association of Andhra Pradesh shooting range. The range, situated inside the University of Hyderabad, has world-class facilities if you want to try your hand at long and short distance pistol shooting. If you are a 90s kid, you will probably be nostalgic about the countless video games you played in your childhood. 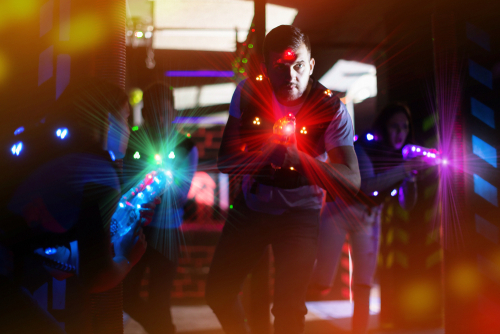 The laser tag arena at Hyderabad’s SVM mall will bring all those memories flooding back. Team up with some of your best mates and take on rival groups in a fun game of light, sounds and strategy. If you are someone who gets major food cravings early in the morning, Hyderabad has a solution for that as well. Ram Ki Bandi is where you should head to for some perfectly-made dosas and idlis. The place opens its doors at 3am. Being one of the most popular spots in Hyderabad, you have to be really lucky to get a seat as you await your turn. The dosas run out quite fast, so be prepared to place your order as soon as your turn arrives. 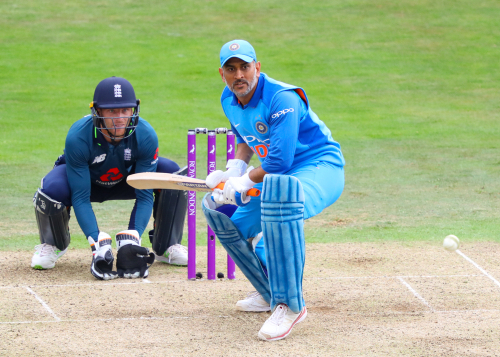 Over the years, Hyderabad has produced some of India’s best cricketers, including Diana David and Mohammad Azharuddin, to name a few. You can catch the atmosphere of this cricket-crazy city by visiting the iconic Rajiv Gandhi International Cricket Stadium for an Indian Premier League (IPL) game or an international game. By now, you must be well-versed with the lanes of Laad Bazaar, but Hyderabad has a few more jewels on its crown when it comes to shopping. Here’s a quick look at the things you need to do to get the best shopping deals in the city. To locals, this place is known for its cheap deals when it comes to dry fruits and perfumes. For tourists, however, the market will forever be known as the home of the iconic Karachi Bakery. The seventh Nizam started this market as a meeting place for commoners and high-end traders. This pushed the prices of goods down, and the market is thriving even today. 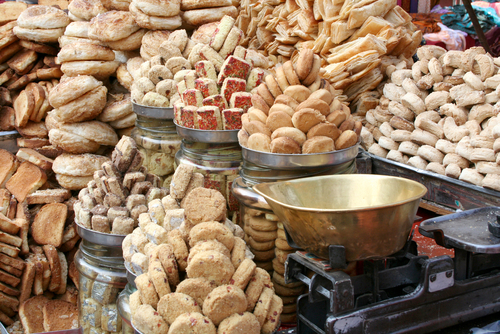 Between Laad Bazaar and Moti Chowk, you’ll be greeted with whiffs of ittar that will instantly lift your mood. That's when you know that you have just walked into the city’s famous perfume market. Here, you can sample some age-old concoctions of perfumes that have been passed down for generations. Most of the variants are available in pocket-sized vials as well, so that you can pick as many as you like. Hyderabad’s Charminar market is famous the world over for one particular product - the renowned Basra pearl. Traders and buyers throng to its streets in search of this gem, as well as several indigenous products, that you’ll find exclusively here. You can also shop for traditional sarees, khada dupattas and accessories like embellished beads and laces. 4. Short On Money? Check Out The Thursday Flea Bazaar! The Jummerat Bazaar, which translates to 'Thursday market' in Urdu, is a weekly flea market just near Begum Bazaar. Here, you’ll find clothes, shoes, utensils and even electronics for the lowest price available. However, keep in mind that most of the goods are counterfeit, so there’s no guarantee about the quality. Still, you can get some really great books for a steal! Every Sunday, a kilometre-long stretch of book vendors pop up on Abids Road, selling everything under the sun, from the latest New York Times bestsellers to antique pre-Independence era books. 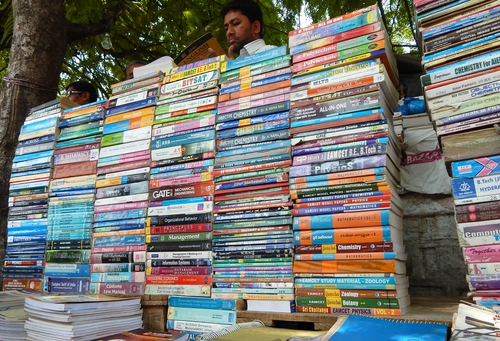 You can pick up books by the kilo or haggle your way to getting some pretty cheap deals. 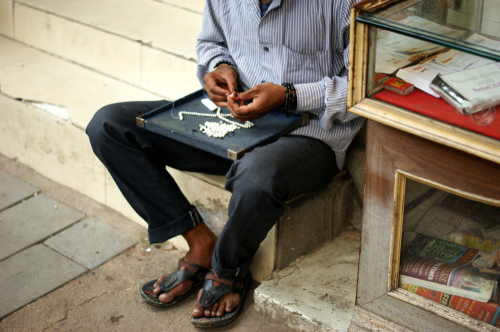 Any shopping spree in Hyderabad would incomplete without a trip to Begum Bazaar. The market, which is also the city's largest, is stocked with a range of affordable everyday products, as well as expensive jewellery. Birdiware, the process of inlaying silver with an alloy to add more shine, and Birdi-studded jewellery, are among the most famous things sold here. 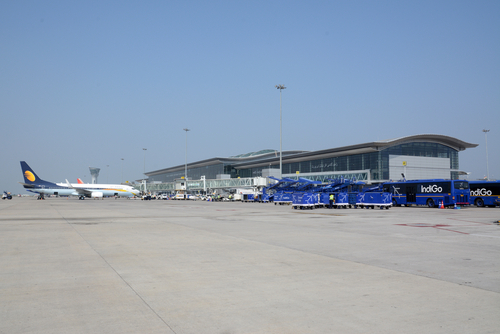 The Rajiv Gandhi International Airport (RGIA), commonly known as Shamshabad airport, is distinctly Hyderabadi. Even as you are preparing to leave the city, you can have fun. Here, you can gorge on some regional cuisine, and utilise this time for some last-minute shopping before you depart, or even try your hand at go-karting. If you are a sports car racing fan, then this place is paradise for you. RGIA boasts of being the first and only airport in India that has a go-karting track, so make the most of it while you're here. The track, which is often visited by budding motorsport racers, is open till 4am (except on Mondays), which makes it one of the things you definitely need to do in the city. The Hyderabad airport has a plethora of options to chose from when it comes to food. Apart from typical American fast food chains like Pizza Hut and KFC, the airport also has a selection of restaurants and bars where you can unwind before your flight, like Island Cafe and Taste Of India. 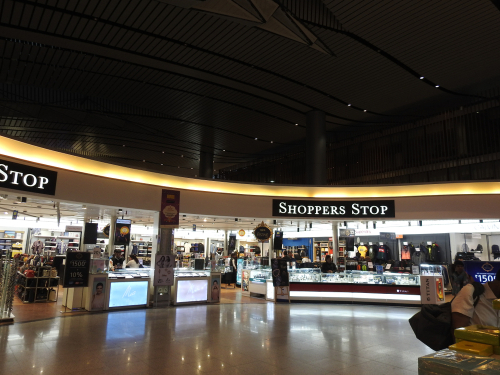 Hyderabad’s airport has so many shopping options that it’s almost easy to lose track of time and miss your flight. RGIA hosts a variety of stores, from apparel like Shoppers Stop and Lacoste to beauty brands like Colorbar and Parcos. If flight delays are getting you worked up, then spend some time relaxing at one of the spas situated within the Hyderabad airport. Apart from the Plaza Premium Lounge, there is also an O2 Spa outlet that offers a range of therapeutic and beauty treatments. 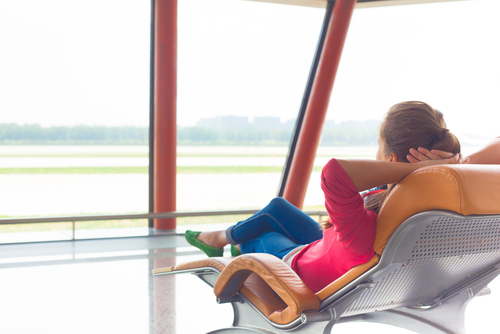 Stylish, modern and contemporary - the Plaza Premium lounge at the airport is bestowed with everything one needs to relax. The lounge has an office area where you can work from, as well as a nap station for some quick shut-eye. If you have a layover, you could also choose to stay over at the Airport Lodge. For those of you who cannot stay off your phone even when travelling, the Hyderabad airport offers free high-speed internet services. However, just keep in mind that the services are free only for a limited time. After they expire, you can subscribe to a plan depending on your requirement. Hyderabad boasts of well-established transport infrastructure with some of the best roads and railway networks in the country. There are several ways to get to the city. The Rajiv Gandhi International Airport is about half an hour away from the city centre and is connected to all major cities in the country. 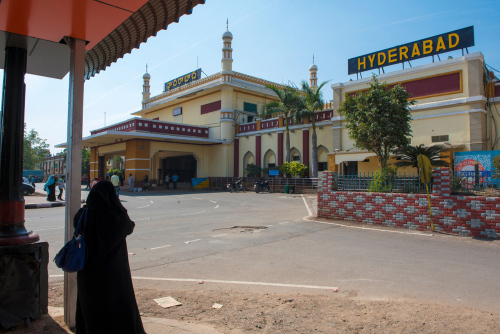 Hyderabad is also well connected by air with some of the Middle Eastern countries since a lot of its natives have family or jobs in that region. 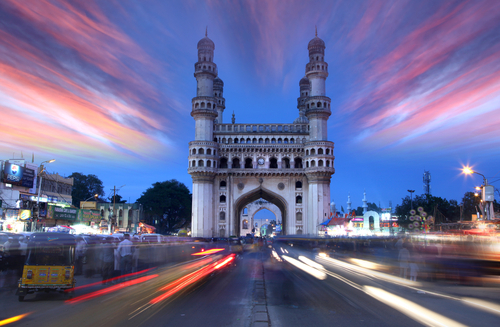 Follow this link to see all the destinations from Hyderabad by air. The South Central Railway zone is headquartered in Hyderabad and is serviced by three main train junctions: the Hyderabad Railway Station, the Secunderabad Railway Station and the Kachiguda Railway Station. Trains run from all major cities on a daily basis, including Mumbai, Delhi and Chennai. The city also has a suburban trains system, or the Multi-Modal Transport System (MMTS), that connect it to the smaller towns in the vicinity. This makes travel to the outskirts very convenient. Hyderabad is well-connected via National Highway 44 that runs the length of the city. 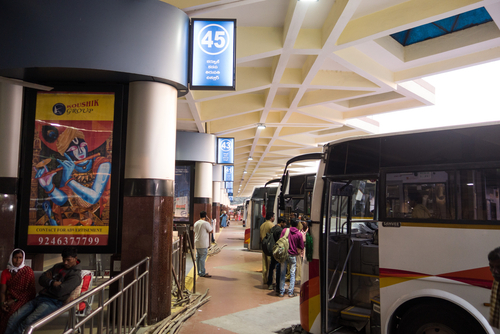 Regular buses run by the state roadways and privately-owned companies ply from the Interstate Bus Terminus. You can also hire rented cars or taxis to your desired destination from here. The city has a good mix of plush five stars, budget hotels and homestays that you can choose from. Here are our top five picks for the best places to stay when in Hyderabad. Located at the heart of Hyderabad’s IT sector, Hitech City, The Westin is a convenient option for business travellers and locals alike. The swanky property is known for its immaculate services and hospitality, spa centres, terrace pool and it’s brilliantly innovative restaurants. The Sheraton sits right in the middle of Hyderabad's financial district, flanked by IT giants like Microsoft on one side and a forest on the other. This combination makes the hotel one of the most sought-after among tourists, who relish the change in environment the hotel has to offer. The place is well-connected to the airport by the Ring Road and also offers a world-class spa, gym and fitness services. If you are not looking to overspend during your stay, but don't want to compromise on comfort, then bookmark this hotel. Aurobindo Comforts is located in one of the Hyderabad's busy markets, which will put you right in the middle of the culture and colours of Old Hyderabad. There are a lot of budget-stays in HiTech City if you know where to look. This one is discreetly located in one of the quieter lanes in the area, and travellers can enjoy the calm atmosphere the hotel offers. They also offer all the amenities that you require to make your stay comfortable - free Wifi, in-room tea and coffee and HD entertainment services. This relaxed resort offers you a chance to get away from the bustle of the city and unwind in its infinity pools, spa sessions and luxurious suites. If you are still looking for a bit of adventure, the resort also has a water park and outdoor excursion areas to thrill you. Hyderabad witnesses soaring temperatures during the summer months, hence the period between October and March is considered the ideal time to visit the month. Here’s a gist of the three different seasons in the city. The winter starts in the middle of October and ends in the beginning of March. Temperatures are pleasant during this time, and this is generally the best time for city tours and monument visits. Summer falls between the months of March and May in the city. The weather can take a toll on any traveller as the mercury tends to settle at 40 degrees Celsius. If you do happen to visit the city during these months, make sure you spend most of your time indoors and always carry a bottle of water. Hyderabad is known to receive plenty of rain during the monsoon months, which is between mid-June and September. Temperatures hover around 25 to 35 degrees, but the humidity makes travel in the city unbearable. However, since this is the off-season as well, you can snag some great deals if you do visit during this time.